The old torpedo boat HAVØRNEN, now used as a patrol boat, was anchored in Stubbekøbing on August 29th. Here it received orders to seek Swedish waters or scuttle. HAVØRNEN left the harbor at 0545 and set a course for Sweden. A German naval vessel blocked the way, and at approx. 1400 the crew beached HAVØRNEN at Stammenakken on the southern part of Zeeland. 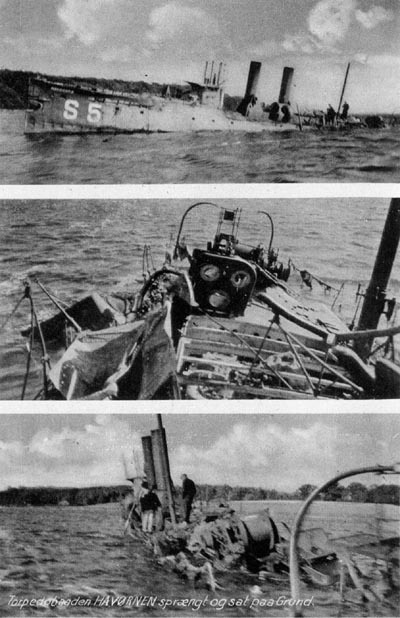 At 1415 hours, when the crew had abandoned ship, HAVØRNEN was blown up. 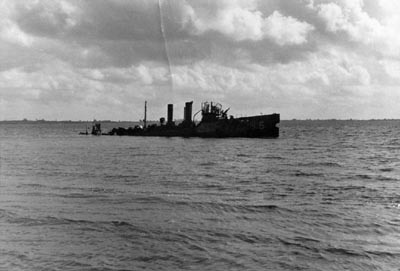 The wreck was not removed until 1952.